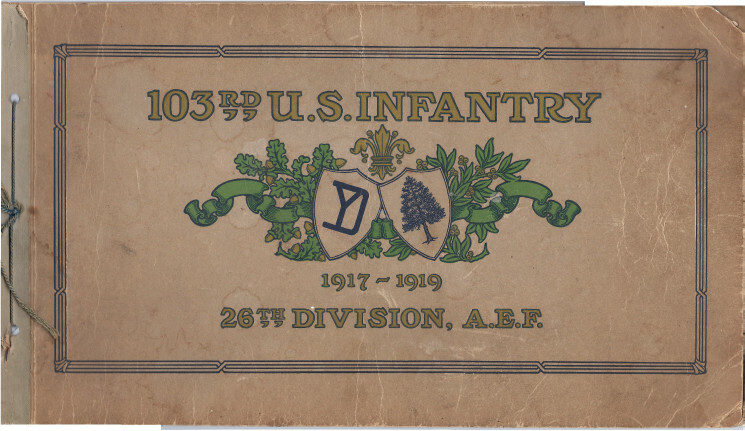 Welcome to the History of the 103rd Infantry! 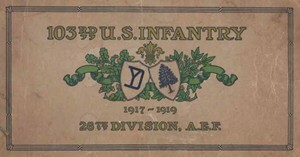 This site is an online version of the official history of the 103rd Infantry Regiment of the 26th Division American Expediationary Force, as writen by Colonel Frank M. Hume. The first phase is underway with the posting of images of each page of the book. The second phase will convert all the pages into pure HTML documents. And the last phase ( which will be ongoig ) will include cross referencing the information with other sources on the internet. Please come back often to see our progress. .